Komine'S PK-738 Protect Riding Mesh Pants are a well-made product with 3D mesh integrated into the construction to allow great airflow for those hot sweaty rides. Complete with CE approved knee protectors as well as EVA side protectors for impact protection. The textile and mesh design has a waist slider strap, reflective panels, knee grip patch, zipper pocket, shiring panel as well as adjusting straps. 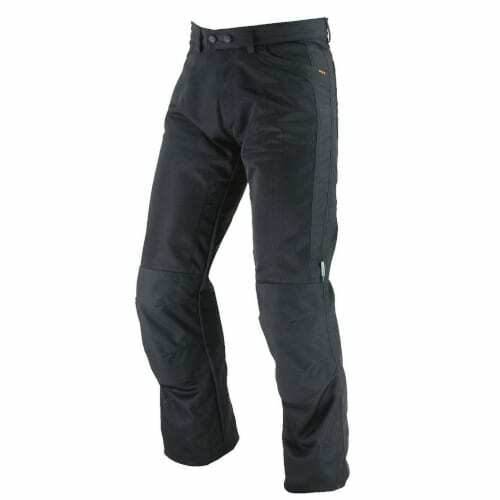 Komine's PK-738 are a great summer pant suitable for touring and town riding. 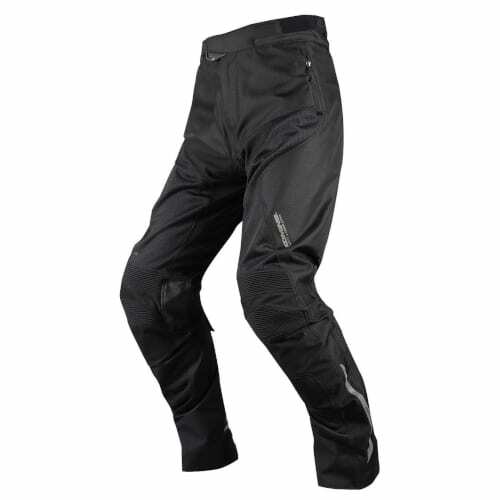 The Komine PK-716 Full Year Riding Pants AIR are a versatile pant with mesh lining and zippered vents that can be opened to adjust airflow depending on the conditions you ride in. The CE approved knee armour offers solid impact protection as does the urethane side padding. Featuring velcro tabs to connect the pants to the shoe, stretch panels, volume adjusters, reflective tap and great vented airflow, this is one great pant for many conditions. The Komine PK-716 motorcycle pants are a type A zipper connection to the jacket. If you require a type B zipper then the AK-340 zipper adapter will be required. Komine's PK-710 Riding Mesh Motorcycle Pants are a jean style nylon/polyester pant with the benefit of cooling mesh material for those hot summer rides. Offering CE certified knee protectors as well as urethane padding side/hip protection. Complete with adjusters, reflective capabilities and comfy fit. These are a great casual style bike pant fro the hotter months. 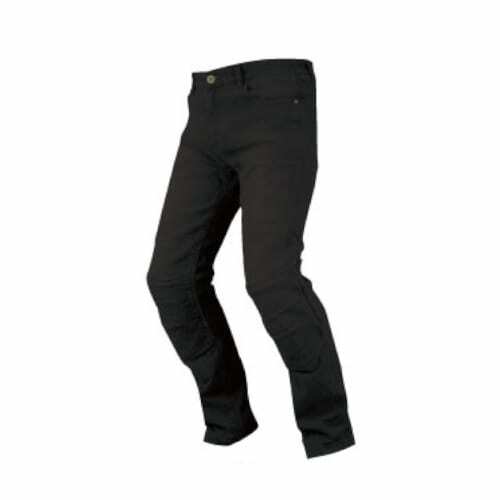 Komine WJ-734L Kevlar Jeans -Deep Indigo - are a great urban style of riding pant. With Kevlar reinforced lining in high impact areas (knee's and hips) these jeans will help keep you protected if you fall. They come with CE approved, loose fit, adjustable knee protectors and are a great casual option for riders that want the urban look when on and off the bike. The ultimate rainwear protection while riding in the rain. Komine's RK-544 GTX Supreme Motorcycle Rainwear has a 45,000mm Goretex windproof, waterproof, breathable membrane constructed into the design to combat the wet conditions while your on or off the road. With velcro adjustment to reduce flapping, vents for breathability, a reflector to be seen and a storage bag, you won't get caught out. Komine's RK-539 Waterproof Breathable Motorcycle Rainwear offers great protection from the heavy rain whether you are on or off your bike. The 27,000mm waterproof membrane keeps the water out whilst being very breathable. 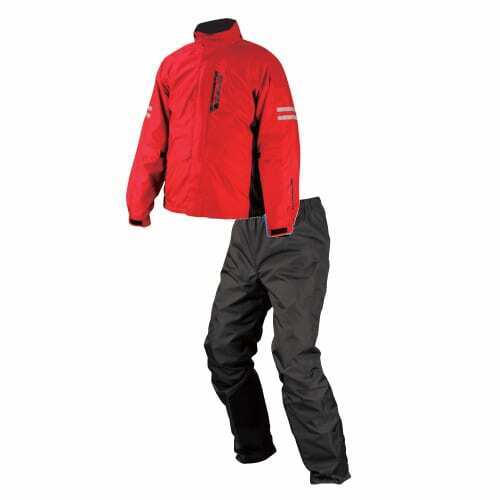 The jacket and pants combination has reflective qualities as well as many adjusters to keep the wind and rain out while keeping a nice fit. The foldable hood is handy for when you are off the bike. Keep dry and comfortable on the bike with Komine's waterproof rainwear. 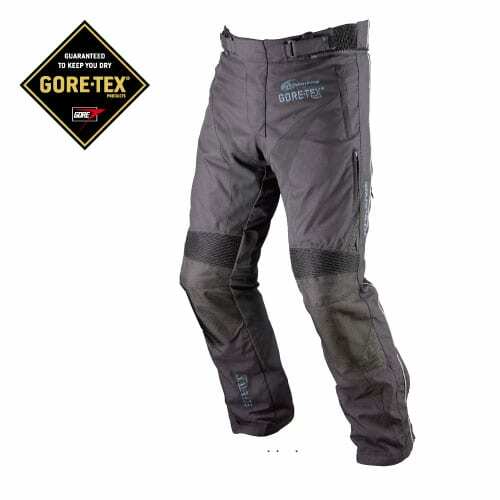 Komine PK-801 GTX Winter Goretex Motorcycle Pants - Ti forne plus - are the ultimate in weather protection as you ride in the toughest of conditions. 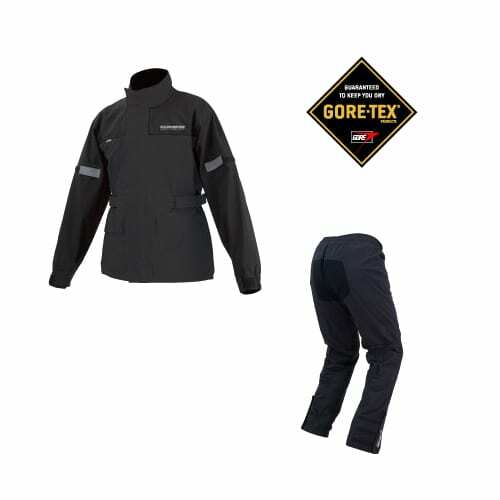 The Goretex 45,000mm waterproof, breathable membrane and removable insulated liner, will have you prepared for ht toughest conditions Australia can throw at you. CE approved knee protectors come standard as well as a hip/side protector to make sure you have solid impact protection. Featuring reflective qualities, zippered vents, adjuster straps and stretchable material for comfort. These come with type B zipper connection. Thes pants are the ultimate riding pant for wet conditions but also have flexibility for the cooler rides. 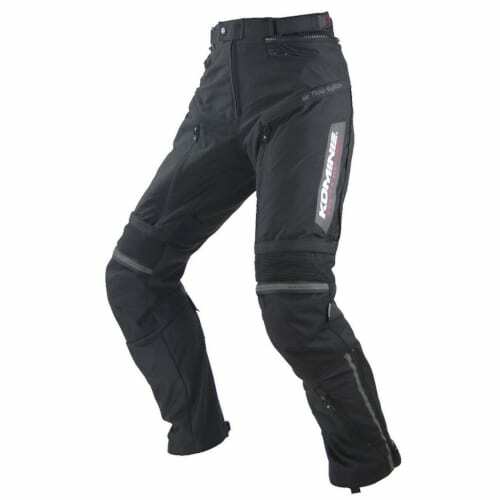 If you're looking for the one pair of pants for all 4 seasons of riding then Komin'se PK-920 Protect Full Year Touring Pants tick all the boxes. The 3 layered design allows you two removable liners, one that is waterproof and breathable and the other that is insulated for warmth. The shell of the pants also has large mesh zippered vents which allow you to adapt to any of the conditions Australia can throw at you. The CE knee protectors and the urethane hip pad will offer you the impact protection necessary as well as reflective qualities, adjustable straps, stretchable material and B type zipper connection. 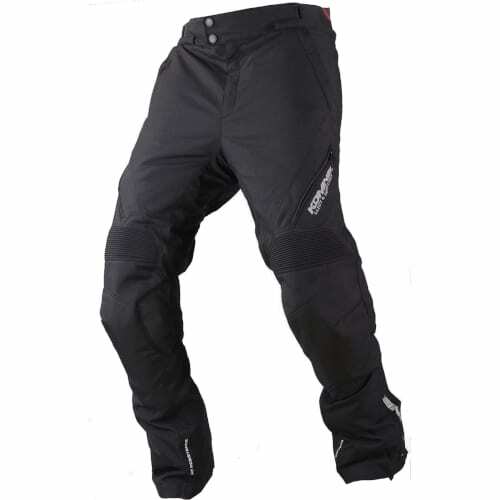 These pants are fantastic for touring, adventure riding or your everyday commute. All year around solution. The Komine PK-914 Winter Motorcycle Pants offer an ergonomic fit for a comfortable ride and has great protection from the road and the elements. Built with a removable insulated liner for warmth, they are also waterproof and breathable as well as having zipper vents to turn to when it starts getting hot on your ride. Being able to adapt is a feature as well as its CE knee protector, reflective qualities, hip protector, cargo pockets, removable suspender straps and adjusters. 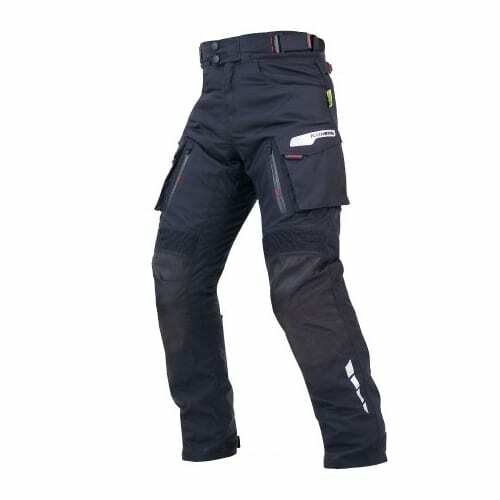 These pants are quality 4 seasons option for all riders. Komine's WJ-932R Protect Windproof Warm Jeans are made from a laminated fabric which includes combining cotton denim with a windbreak film and thin brush fleece which results in a similar thickness to normal denim. 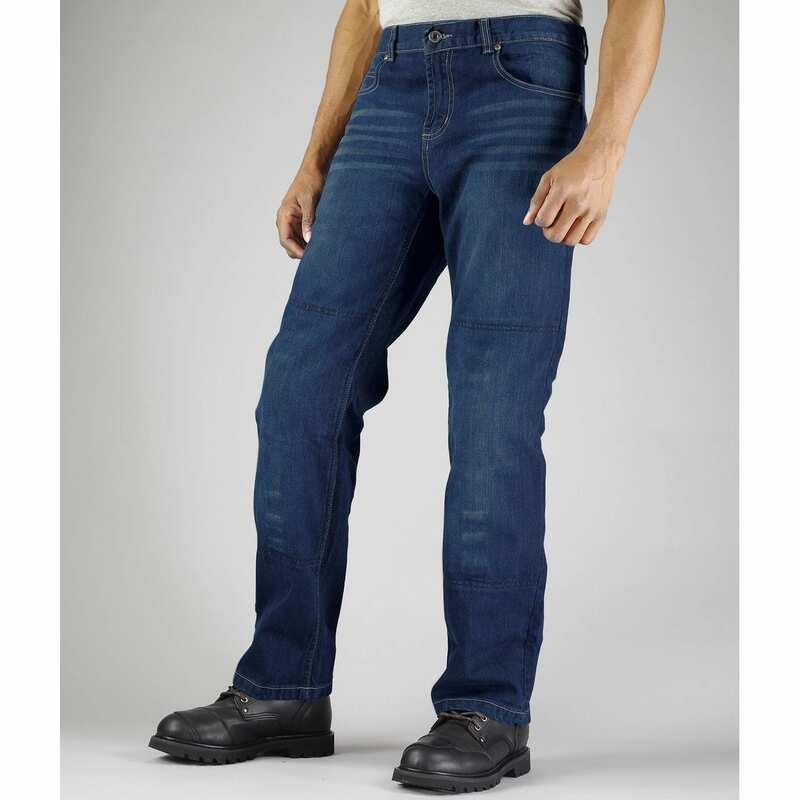 These stylish, regular fit jeans are a really nice looking product that combines safety with removable level 2 CE approved knee protectors as standard as well as pockets for 2 potential hip protectors. 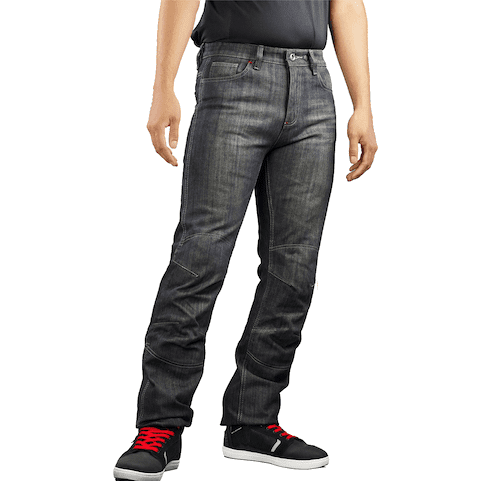 These are a great casual pair of jeans that can be used on the bike or just around town. Ladies sizes are also available.